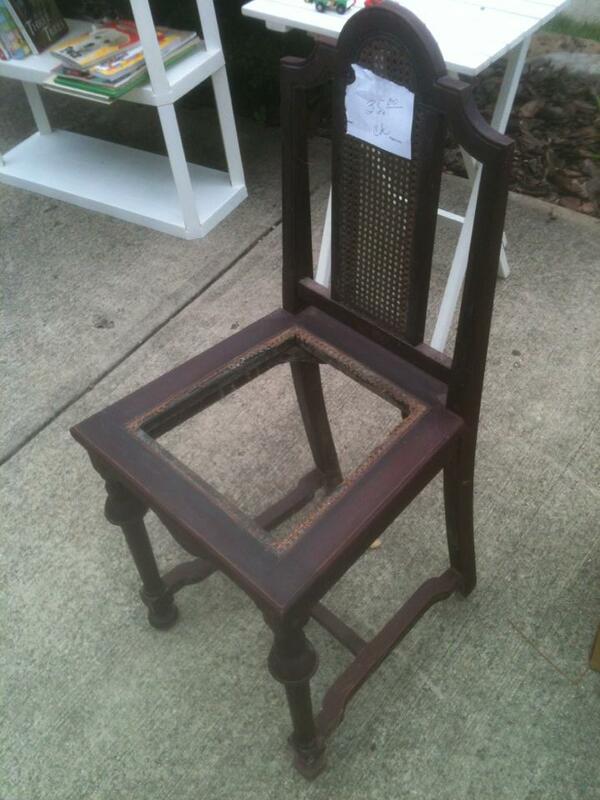 My garage sale find of the day…it looks like someone is selling the chair from Casino Royale. If you haven’t seen the movie, you won’t get that joke, but you also won’t cross your eyes and get a headache at the memory of it, either. — Reid Kerr prefers to think of the days when James Bond never lost. This entry was posted on Saturday, August 10th, 2013 at 12:01 pm	and is filed under Musings. The entry is tagged under garage sale, torture. You can follow any responses to this entry through the RSS 2.0 feed. You can skip to the end and leave a response. Pinging is currently not allowed.